WHAT IS THE HYDRATION ROOM? Gone are the days of having to go to the Emergency Room to receive basic IV hydration therapy. 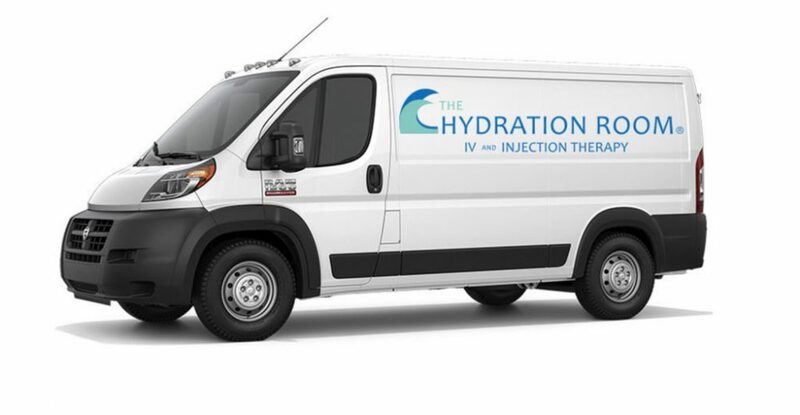 The Hydration Room is the new alternative: no wait, no outstanding medical bills, just effective and efficient IV hydration and injection therapies administered in a relaxing medi-spa environment. Whether you’re suffering from a cold or flu, battling a migraine, experiencing jet lag, seeking relief from sore muscles or chronic pain, waking up from a long night of over-indulgence, or just low in energy, IV hydration and injection therapy is the quickest way to improve your symptoms and get you back to feeling your best. IV hydration therapies are quick, often under thirty minutes depending on your hydration status and needs. Injection therapy is also quick, and administered in a private room by our physicians or nursing staff.